Fans of Temple Run and other endless runners have a new option on iOS and Android, as LPD Interactive’s Knight Runner is now available to download for free. The medieval 8-bit style endless runner sees players jumping into the shoes of Sir William Ballace, a knight on a quest to save the princess, his true love. In each game of Knight Runner, players swipe left and right on the screen to move the knight between three lanes, avoiding obstacles like oncoming knights and boulders. Players swipe up to jump over fences and spikes, and swipe down to slide under flying dragons and other tall barricades. 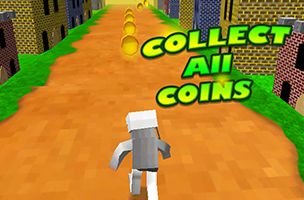 Players collect coins in each game, which can be spent on upgrades for the knight, like additional lives to increase the length of each single game. Other powers, like magnets and shields, can be upgraded for better effectiveness, and will appear at random while playing. One final power turns players into a noble steed and removes the need to jump for a short time. Once players collect a large amount of coins, they can unlock a second, more difficult version of the game. While free-to-play, Knight Runner is ad-supported and offers in-app purchases in the form of additional coins and the removal of ads. Knight Runner is now available to download on iOS and Google Play. Check back soon to follow the game on AppData, our tracking service for mobile and social apps and developers.